I recently took a weekend trip up to “The Triangle,” a.k.a. the triad cities of Raleigh, Durham and Chapel Hill, North Carolina. Ok, that’s kind of a lie. I really only visited Durham and Chapel Hill. It was a quick trip. So this will be a quick post. 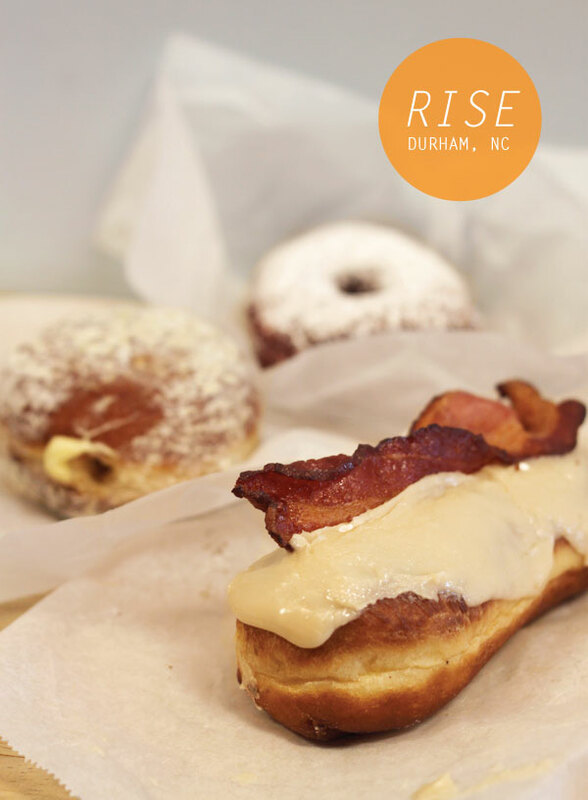 If you do only two things in North Carolina, visit Rise and Sugarland. Because food groups are important. But so are donuts. And biscuits. And cupcakes. And gelato. 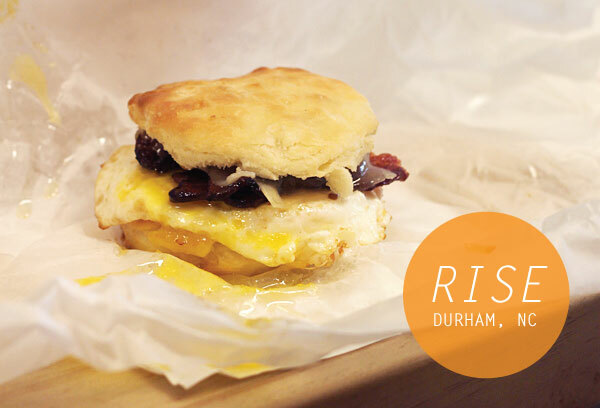 Rise in Durham is the best spot ever for breakfast. Whether you want savory or sweet, they’ve got you covered. Because the serve two things: Biscuits and donuts. My recommendations: The Maple Bacon bar, Orange Curd donut (dusted with Pistachio Sugar), or literally anything on a biscuit. That’s a bacon, egg and cheese biscuit pictured above. 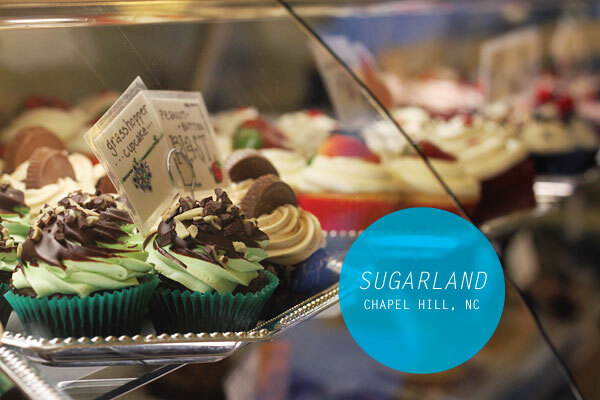 Sugarland in Chapel Hill calls itself a “bakery,” but it’s so much more. 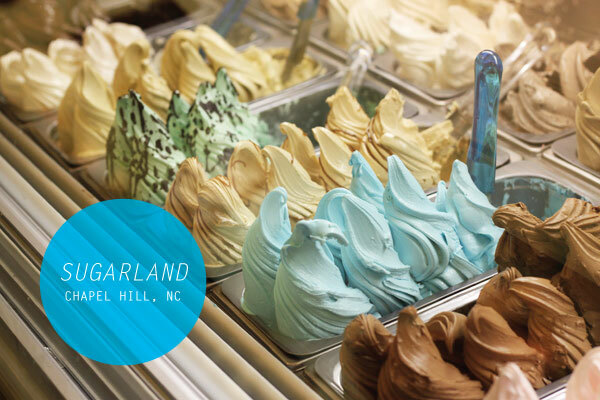 A rainbow of decadent gelato peaks (which you can get in a pretzel cone), crazy gorgeous cupcakes, …and, oh, you can get a frozen gelato martini. What’s not to love? I dream about Rise all day and all night. 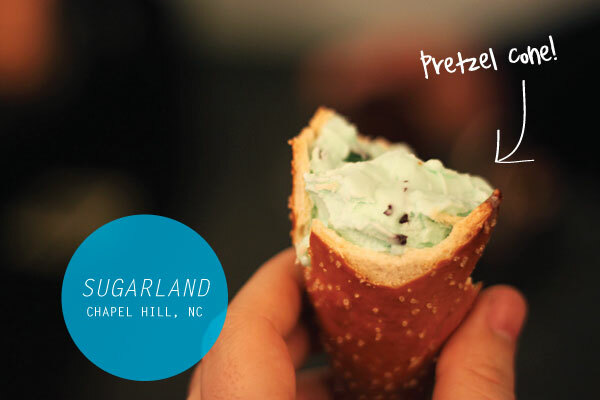 If you go back to Chapel Hill, visit top of the hill bar and grill. It’s great. I’m also pretty sure you will not be going back to Durham.